It has long been a wish of my to attend one of the premier shows in th UK, Hugglets. I still hope that some day I may go in person, but thanks to the shop Silly Bears of Scotland, my bears will go this year! The show is this Sunday, February 23 at Kensington Town Hall in London.. 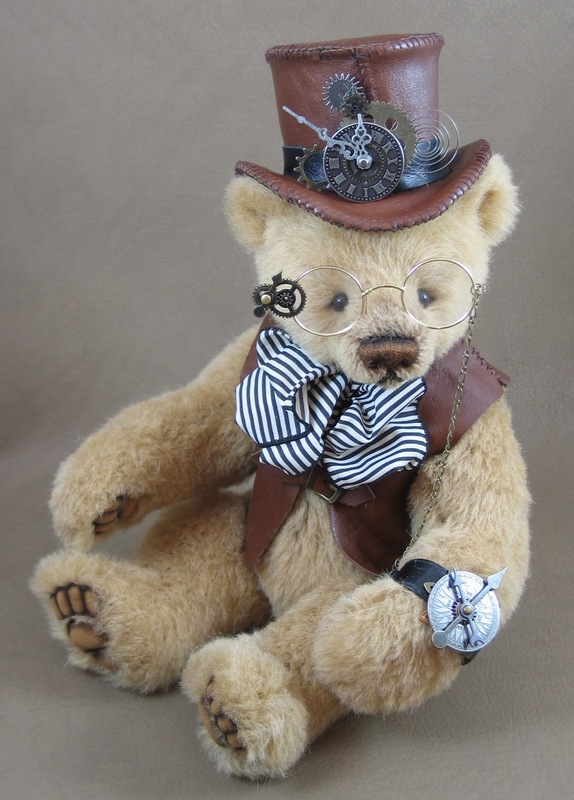 The shop has given artists a delicious theme to create their bears around called "Out of the Chocolate Box"! I had a wonderful time choosing colors accessories and names for my part of the collection. Here they are. 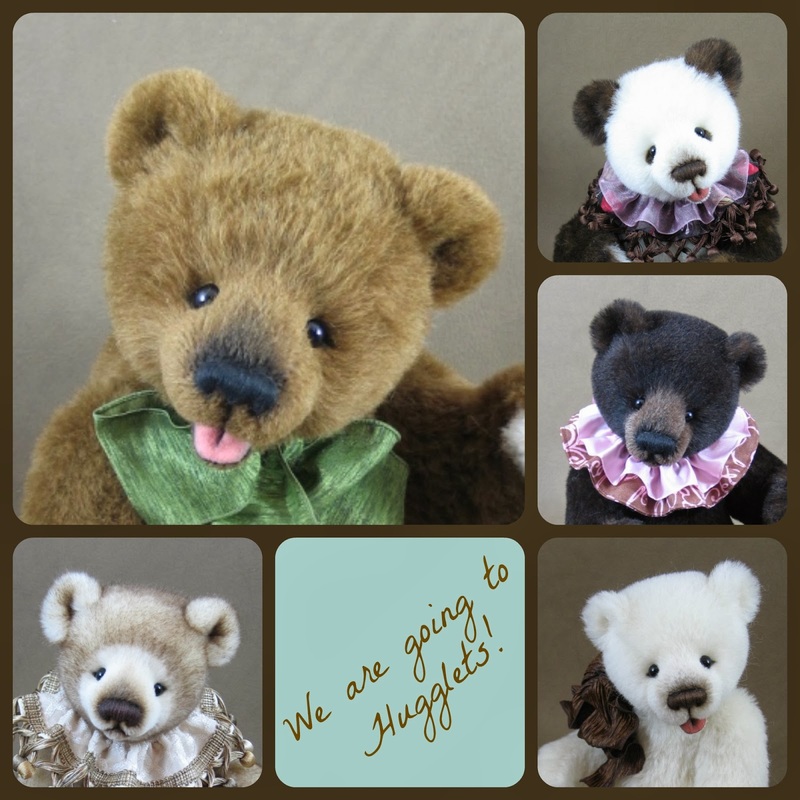 If you are lucky enough to attend Hugglets in person stop by the Silly Bears stand for a cuddle. The truth is, I am completely baffled by time. Time is a mystery to all of us, I know, but it seems to me some people--maybe even most people--have a better handle on it than I do! For instance, I can't understand why, once I am ready to go to my teaching job--- showered, dressed, and fed-- it takes ten minutes to actually leave. What am I doing with that time? It can't possibly take ten minutes to put on a coat and grab my keys, can it? And yet, it is always so. 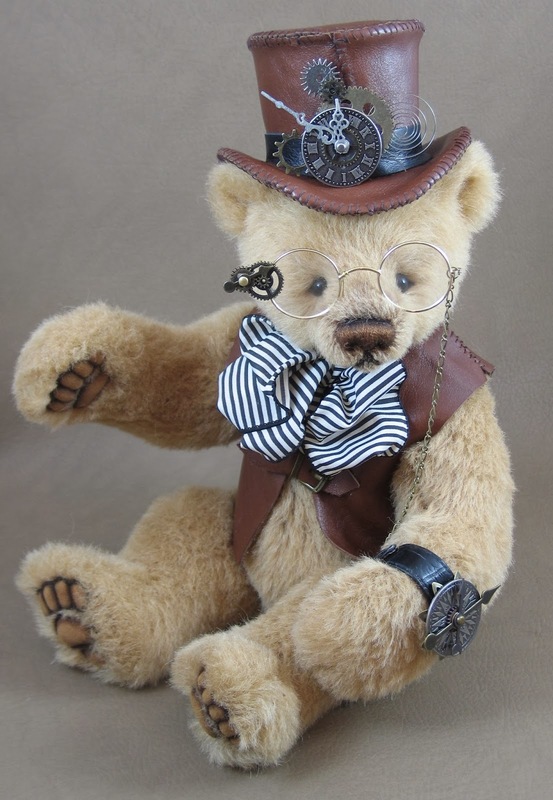 Also, even after 20 years of creating Teddy Bears, I still cannot answer a question frequently asked by people when they find out what I do for a living; "How long does it take to make a bear?" It is challenging, of course, because each bear is different. Some are larger, some are smaller, some include details which others do not, and some are dressed while others simply wear a bow. I expect it varies from one day (one day being within a 24 hour period, and not necessarily limited to a typical 8 hour work day!) to two weeks of working daily. 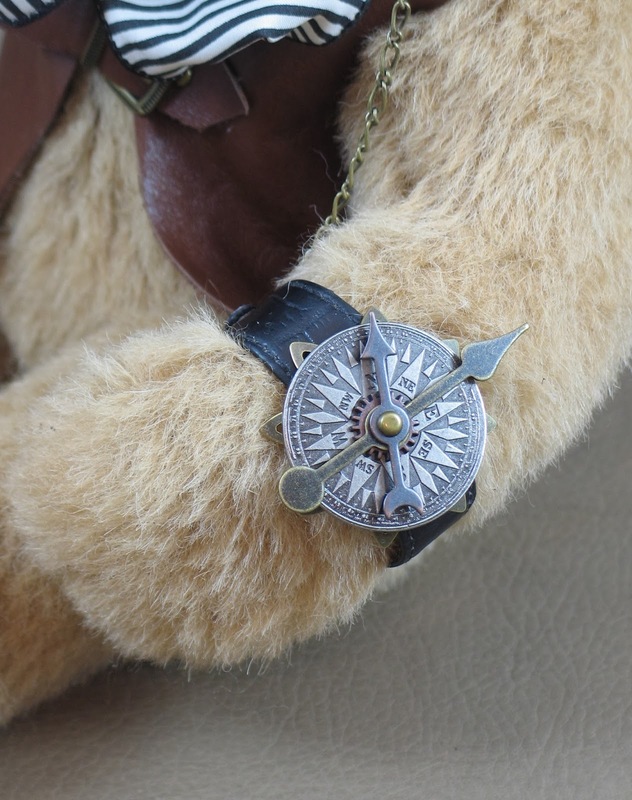 I can say for certain that bears with plain paws take much less time to make than the ones with the trapunto detailing, but I cannot tell you how long it takes to complete either bear! I can tell you that trimming the face on a bear made from dense alpaca or mohair takes much, much longer than trimming the sparse fur on a vintage style Teddy, and that the super dense luxury synthetics take even longer to trim than the alpaca or mohair, but if you ask how long it takes to trim a bear's face, I cannot say for sure. I am also befuddled by time when I am immersed in my work. Quite often I head to my studio after dinner and become so involved in a project I am enjoying, that it seems time is standing still. It isn't of course, and when I finally stand, stretch, and turn around to look at my clock, it's 3AM! (Perhaps I should put my clock in front of me when I work!) How is it 3 o'clock already? For that matter, how is it 2014 already?! I wonder how it can be that holding my sons as babies can seem like just yesterday, and ages ago at the same time. The older I get, the worse it gets! When I decided to make a bear to celebrate my 20th anniversary, I wanted him to be very special, to show how much my collectors mean to me. I also wanted him to somehow signify the passage of time that an anniversary marks, which is why I decided to make him a time traveler. 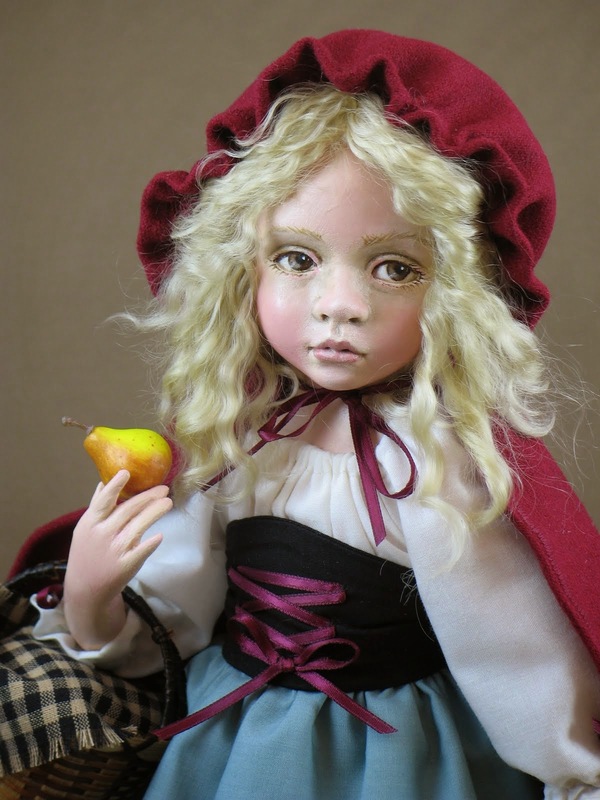 As I worked on him, investing a lot of time in my little time traveler's accessories, (way more time than I anticipated--but of course that happens all the time) I found myself thinking that this dear little fellow in my hands was kind of the embodiment of a fantasy of mine. I would love to be able to visit other places in time, or to relive hours to get more done as Hermione does using her timer-turner in Harry Potter and the Prisoner of Azkaban. 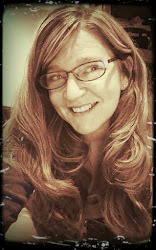 But most of all, I would love to be a little less clueless about time! I loved every moment I spent on him, and I love the way my little time traveler turned out! Here are a few more photos of Emmet..Yes, I know--it's about time!